It’s the first fall feeling weekend of the year. I woke up to temps in the 40’s Saturday morning….perfect! We donned our sweaters and headed to a local orchard to pick some apples. We took a hay ride, had some cider, and baked a pie. I was on a roll so I decided to spruce up my front porch for the season. It’s not complete yet, but I did pick up some pumpkins and started playing around with paint. I’ve done this in the past but with bats and spiders. 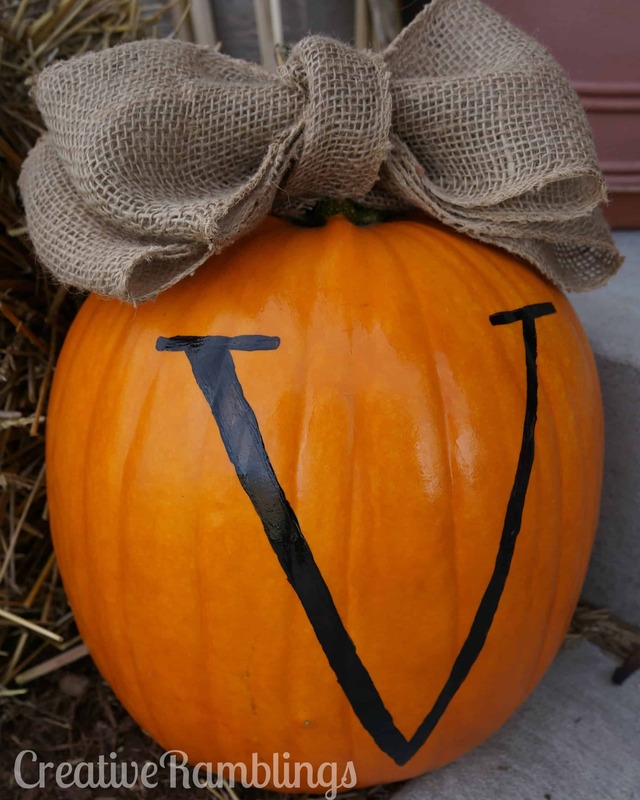 This year for a new home I decided to do a monogram….oooh fancy! I actually have a smaller front porch at this house so I scaled back a bit this year. Only a handful of pumpkins and mums with a few other accents. I promise I’ll show you the finished product next week when I’m done futzing with it. 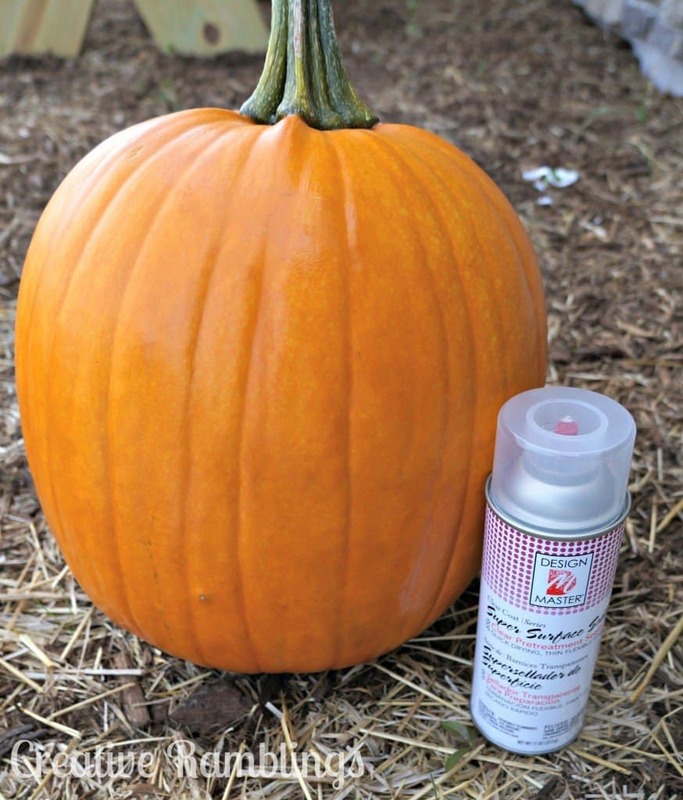 Painting a pumpkin is really quite simple and it will last the season if done right. Or you could just let your toddler do it. Really glad I got some little ones to appease her during this process. Such a helper. 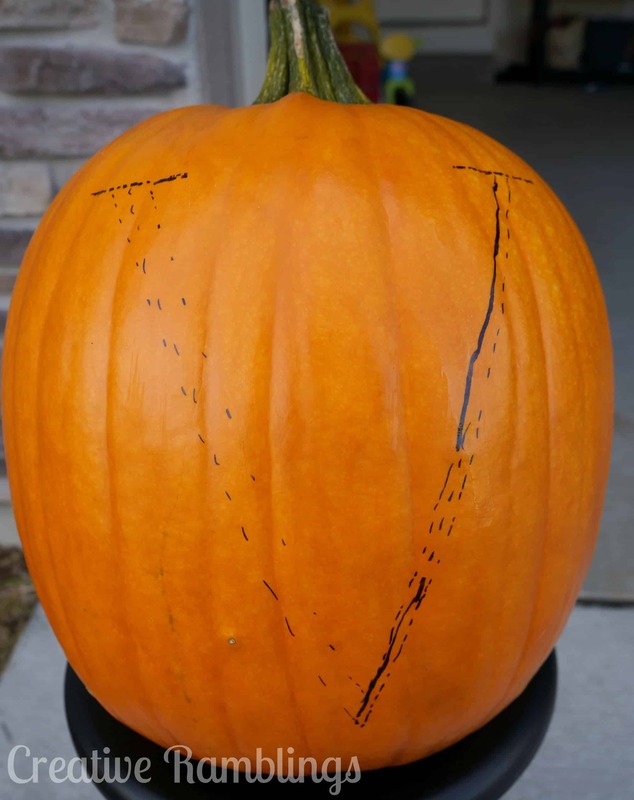 I picked a pumpkin for myself that had a smooth flatter surface in a nice dark orange. I cleaned it up and sprayed it with an all-purpose sealer. This helps the paint stick. Then I painted over my sketch. Once that was dry I sprayed on another coat of sealer. Add a pretty burlap bow and done! So easy and so pretty. I’ve moved it several times already today and will continue to do so this week. Hopefully by next weekend I will have a porch I am happy with and can share with you. 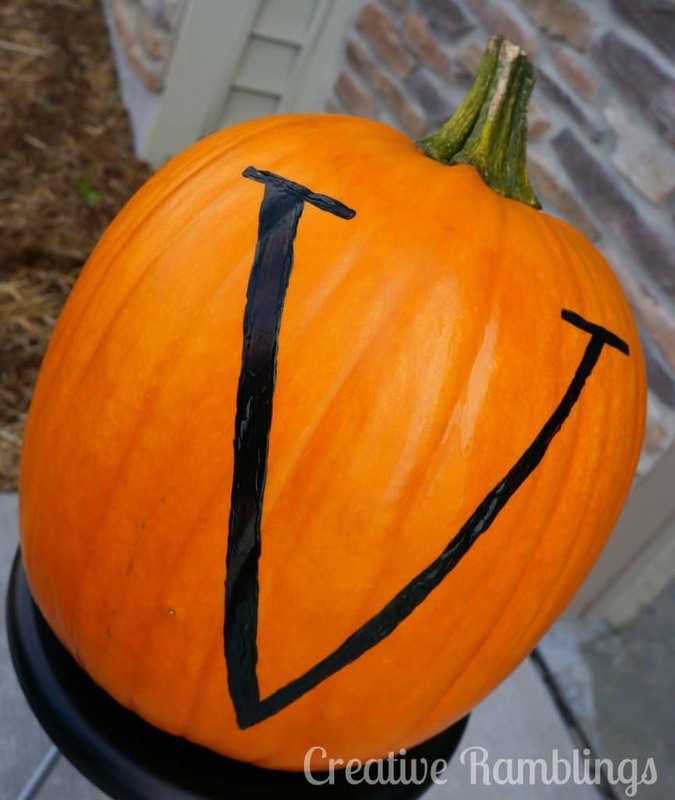 Do you decorate with pumpkins? What’s your technique? I would love some more inspiration. 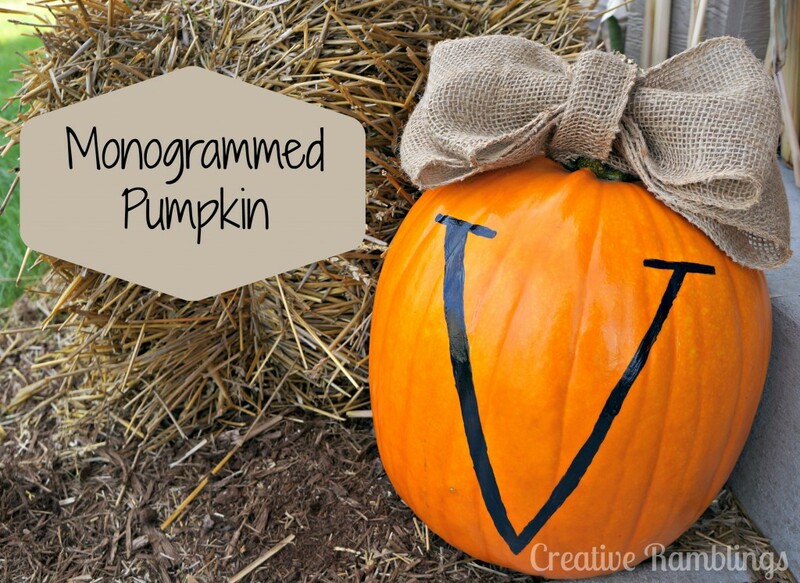 This is such a cute and classy way to decorate a porch for fall! 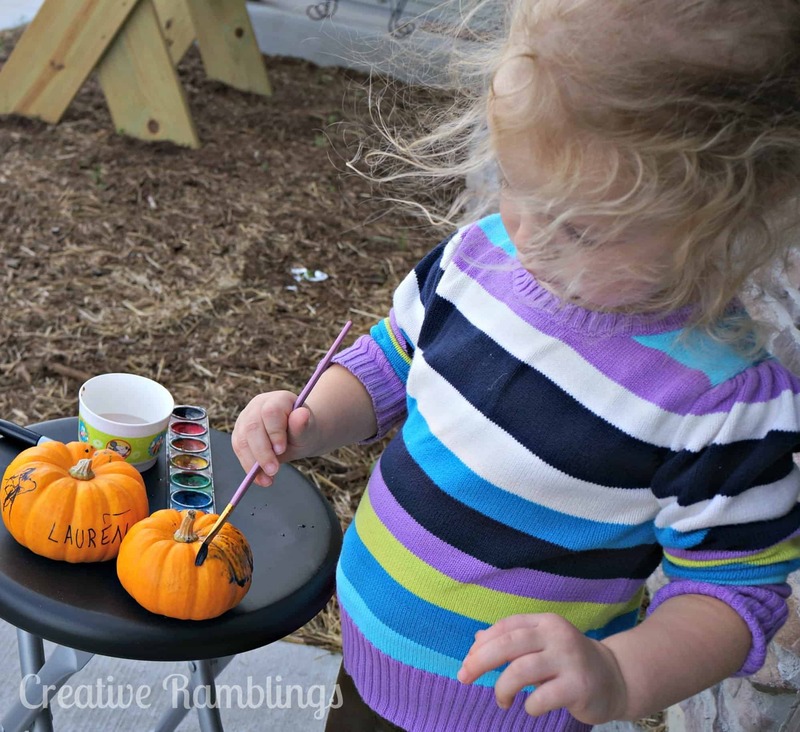 Plus it would be fun to decorate some small pumpkins and gourds with my kids. I’m visiting from Serenity Now (#24 $6 Fall Decor) Have a wonderful day! Hey Carrie, thanks for stopping by. Happy Fall! Thanks Theresa, don’t you just love fall! Sarah I love the added bow- really cute idea 🙂 Thank you so much for linking up to Get Your DIY On this week with your pumpkins! I hope you’ll join us tomorrow with any Burlap projects!